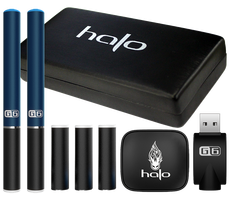 Here's some awesome news for the ever-growing multitude of Halo Cigs fans out there! Halo has just released the brand new Halo Triton Variable Voltage Twist Battery for the Triton Tank System (a favorite among many vapers). Yes, you read that right! 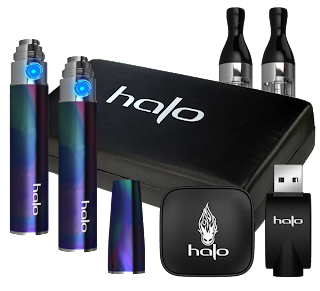 Halo Cigs (one of the most-loved e-cig and e-liquid companies) has finally released the brand new Halo Triton Twist Battery for the Triton starter kit. Hellz yeah! This is some really awesome news! 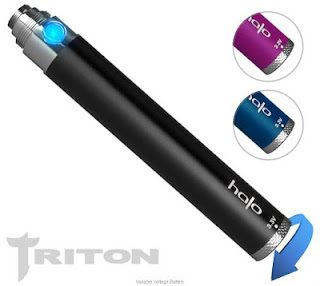 You see, pro vapers all over have been waiting for a really good variable voltage battery that is compatible with the Halo Triton (not that the regular Triton batteries are lacking at all - they're not!). In fact, the standard Triton batteries are totally awesome, and pretty much the best e-cig batteries you can get right now. 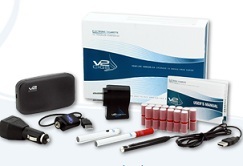 They produce a killer amount of vapor, and last a really long time before they need to be recharged. 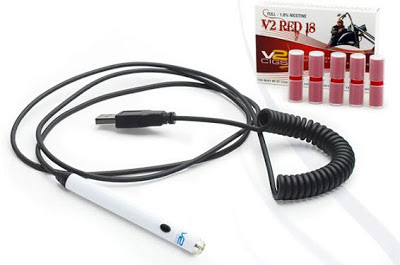 Without a doubt, the Triton Twist Battery (variable voltage battery) provides the ultimate vaping experience. 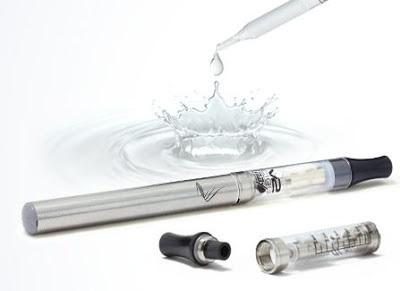 It has an adjustable voltage range (from 3.3 to 4.8 volts) that not only allows you to get the best flavor out of your e-liquid, but also the best vapor production as well. 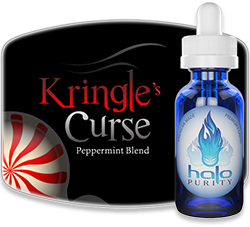 Note: Halo recommends using the Triton Tanks with 3.0 - 3.2 ohm coils in order to get the fullest range of flavor from your e-liquid. 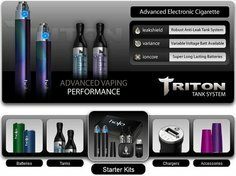 From what it looks like on the Halo Cigs website right now, the Triton Twist Battery is available in the 900 mAh battery capacity. Not familiar with the Triton? 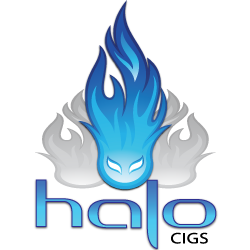 Then be sure to check our our detailed Halo Triton review. 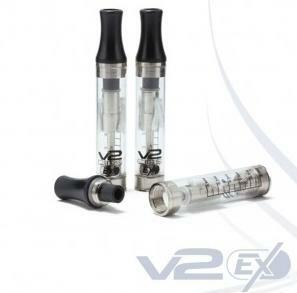 Without a doubt, it's one of the best vaping devices on the market right now. It offers everything a serious vaper could want - awesome performance, killer vapor production, long-lasting batteries, top-quality fit and finish, etc. 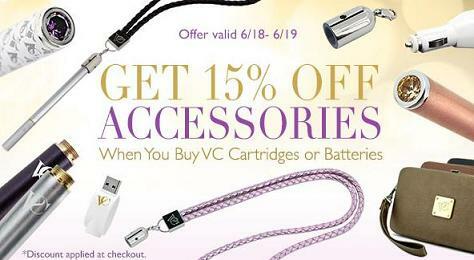 And for the Triton Twist Battery, go here. 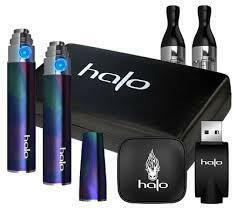 • New Halo Triton Starter Kit Review - Best e-cig kit? Here's 30 seconds of vaping fun for ya! 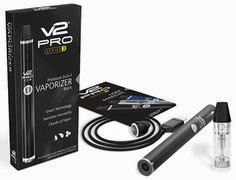 Leading e-cigarette brand Volcanoecigs has just released their brand new TV commercial, and you can preview it here, below! 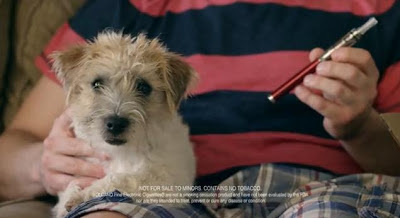 This comical ad spot, titled "You Smell," features a man dressed up as a smelly tobacco cigarette, as well as his pet dog. The dog, who clearly can't stand the gross smell of cigarettes, refuses to sit with him on the couch, telling him, quite bluntly, that he SMELLS! Next, there's a knock at the door. 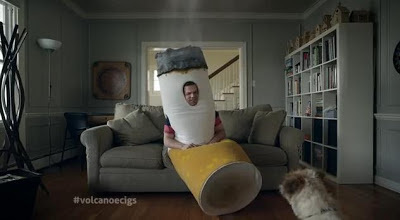 "Smelly Cigarette Man" has received his Volcanoecigs starter kit in the mail. He charges it and begins vaping right away. 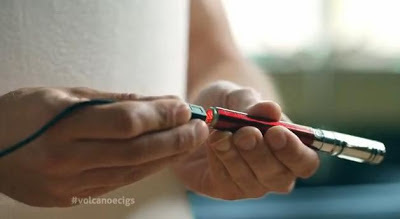 Note: The particular Volcano e-cigarette featured in the commercial is the INFERNO. No smoke smell - Smart doggie dog likes it! So yeah, it's definitely a cool little commercial. Personally, I really like it! It's short, entertaining, and straight to the point - just like a good commercial should be. 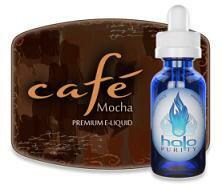 Vaping Fact: Volcanoecigs offers some the best e-cigarettes, starter kits and e-liquid available to vapers today. 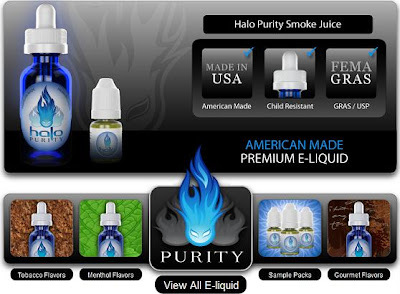 Their e-cig products are all top-notch, having passed all of our rigorous testing methods with flying colors. 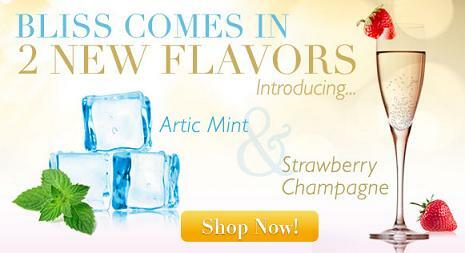 So whether you're new to vaping, or a seasoned vaping pro, you can bet that you'll be darn pleased with all that Volcanoecigs has to offer.